The show is moving to two hours and we will be adding a few new segments! 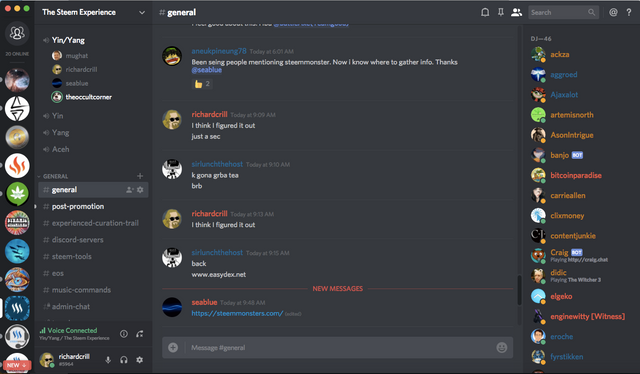 Steem Monsters has been the big topic in voice so I just now made a text chat for it. We had a great show with @shadowspub! Check it out here! @mandalflower will be our next guest this week and I'm sure that is going to be an interesting discussion so don't miss that! We will do the normal hour as usual and the second hour will be more of an open discussion with everybody. The new segments aren't decided yet, but I definitely want to have a Steem News segment because there is plenty to keep up with here every week. Big Thank You to @shadowspub! @shadowspub was an awesome guest and I really love her perspective. I think the work she is doing for Steemit is awesome! Please follow her and her @steemitramble account to find quality content that she is highlighting and definitely check out the Steemit Ramble Disord for PYPT and the Witness Chats! TSE 05 with @shadowspub NEW! 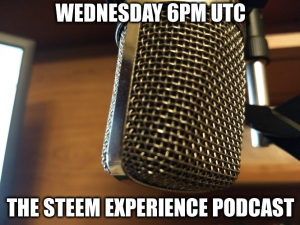 The Steem Experience Episode 5 with @shadowspub NEW! Are you explaining the law of attraction? This post has been deemed resteem & upvote worthy by @ecs creator & community leader @chelsea88.